We can meet all of your construction needs, from new construction to custom remodels or additions, including: kitchens, bathrooms, basements, garages, tile, flooring, landscaping, excavation, fencing/decking, roofing, siding, and concrete. Whatever you need to customized your home or business - Mountain West can make it happen. 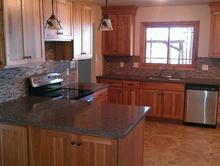 Let us build your dream kitchen. If you can dream it, we can build it. 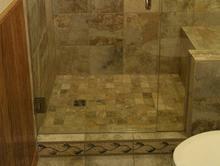 Soak away your worries in your new custom shower. 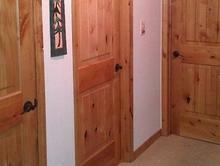 Let Mountain West help revive your home with new custom doors and trim. 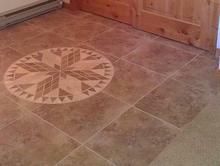 Let us take your breath away with a new custom tile floor.